The White Album turned the big 5-0 this week and much like last year’s 50th birthday celebration for Sgt. Pepper’s Lonely Hearts Club Band, a grand rollout of goodies was included. Giles Martin, son of legendary Beatles producer George Martin, remixed the entire album for today’s millennial ears with some good and some getting use to results. The remix will of course take some time to adjust to, the White Album has sounded only one way since 1968 and not many ever called for it to be cleaned up or fiddled with in the first place. It’s a masterpiece through and through. Warts and all. The highlight of this extravaganza is of course the Esher demos that were done at George Harrison’s bungalow in May of 1968. It features almost every song on the proper album plus songs like “Not Guilty”, “Junk”, “Child of Nature”, “Sour Milk Sea” and “Circles”. It’s basically The Beatles Unplugged and it makes me wonder why something like this wasn’t mined decades ago because the material is a fantastic listen. If you love The Beatles go out and buy it. You won’t be disappointed. It’s worth the price of admission alone. The rest of the deluxe box set includes a wealth of studio demos and outtakes. I’ve listed below what I feel are the true gems of the batch and offer new perspective on The Beatles creative process. Revolution 1 (Take 18) – A 10 minute slow honky tonk attempt with plenty of messing around and jamming. The Beatles still unsure what direction to take John’s new protest anthem. A Beginning (Take 4) / Don’t Pass Me By (Take 7) – Ringo’s debut Beatles composition begins with a lovely George Martin conducted orchestral arrangement (previously heard on Anthology 3) before a country hoedown takes over. Good Night (Take 10 with a Guitar Part from Take 5) – A complete 180 from the lush strings laden version that caps off the studio album. Ringo is joined by John, George and Paul who sing supporting harmonies with finger picking guitars. Truly a breath taking moment for this box set. Who knew material of this caliber lay in the vaults? Cry Baby Cry (Unumbered Rehearsal) – A stark contrast to the final acoustic rendition, this attempt at the song is led by heavy organ playing that reminds me of Procol Harum’s “A Whiter Shade of Pale” which was a huge influence on John Lennon back in 1966. Helter Skelter (First Version / Take 2) – A slow burning 13 minute bluesy rocker with loads of guitar jamming and minimal drumming. A far cry from Paul trying to make the loudest rock song ever made in retaliation to Pete Townshend writing The Who classic “I Can See For Miles”. Hey Jude (Take 1) – Simply one of the coolest cuts found in the entire box set. Paul warming up his vocal cords moments before uttering the iconic opening “Hey Jude…” makes the hairs on the back of your neck stand up. The last 3 minutes or so is Paul just going completely mental improvising his lyrics and losing himself in the process. Fabulous stuff. Not Guilty (Take 102) – Without question one of the best songs The Beatles never released and I’m not sure why. George’s tune fits the overall vibe and ascetic of The White Album. This version of the song features a dirtier sounding guitar compared to the one found on Anthology 3 and an extended jam outro. Let It Be (Unumbered Rehearsal) – Really more of a song fragment compared to the cherished version found on the album of the same name. This “Let It Be” is a bluesy psychedelic run through. Not really sure how else to describe it. I only wish we had a full 3 to 4 minute version. So fascinating to listen to after all these years. 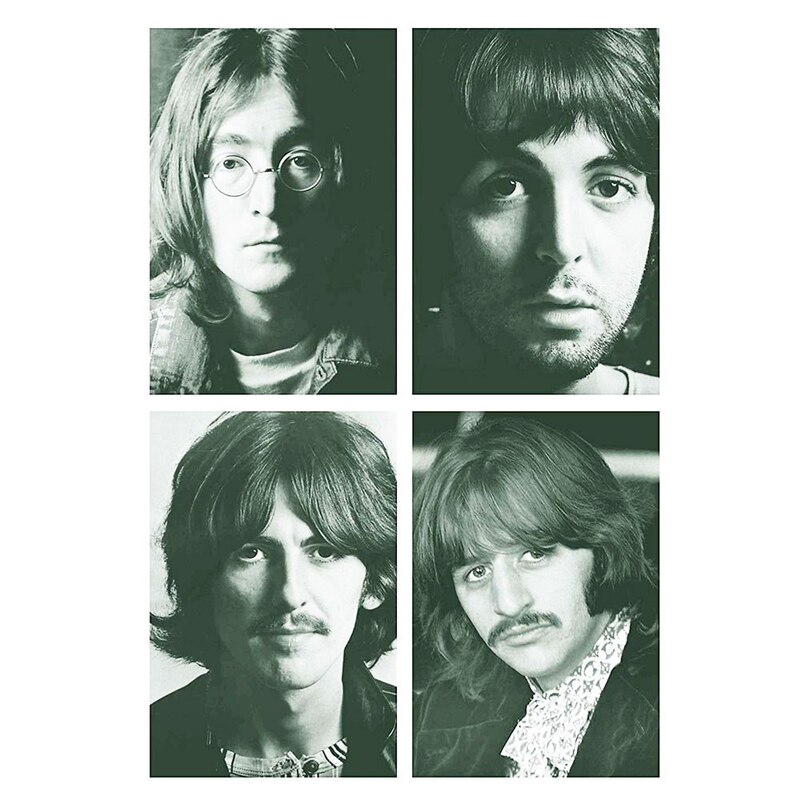 While My Guitar Gently Weeps (Third Version / Take 27) – The previous outtakes of this future Beatles masterpiece were of an acoustic approach. Take 27 is heavy, grittier, with sharp guitar licks as George and Eric Clapton hone in on the final definitive version. Happiness Is a Warm Gun (Take 19) – It has often been said that “Happiness Is A Warm Gun” is basically the entire White Album condensed into a 3 minute version. I’ve always agreed with that take. This is one of the best songs John Lennon ever sang. Superior vocals. Listening to take 19 you realize that it took a lot of work to make this song rise to the level of perfection we are so use to. Honey Pie (Instrumental Backing Track) – When you take off Paul’s vocal track, you begin to realize that “Honey Pie” sounds like some lost Vaudeville classic from the 1920s. I have to imagine George Martin had his paws all over this one as the final product is beautifully crafted. Long, Long, Long (Take 44) – Always one of my favorite White Album contributions, this outtake has the ghostly and eerie atmosphere dialed back several notches. Driven by George’s acoustic strumming, this song feels less about God as George once claimed and more about lost love rediscovered. The fade out ad libbing by George is also a fun little treat. I’m So Tired (Take 7) – I’m a sucker for John Lennon studio banter and this outtake features some great stuff at the front and back ends. Not to mention John playing and singing superbly as the final version of “I’m So Tired” is eventually realized. Julia (Two Rehearsals) – One of John’s most personal songs. You can feel his pain and longing for his mother who was taken too soon from him. Not far removed from the proper studio version. This raw outtake sounds like you are sitting right next to him in studio two in Abbey Road. The next question is what will Apple Records and Giles Martin turn their attention to next? The smart money is on the 50th anniversary of Abbey Road but I wouldn’t be too keen on that by its self. Abbey Road already sounds like a modern day produced album and most of those songs were born out of the Let It Be sessions from earlier in 1969. I wouldn’t be against Apple Records combining the celebration of Abbey Road to also include the full sessions of Let It Be. We know a treasure trove of material was recorded during that time period. Endless hours of outtakes, band arguments and studio jams. That is how I would personally handle potential 50th anniversary specials in 2019.